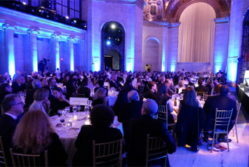 Registration is open for the OPC’s Annual Awards Dinner on April 28. This year’s program features distinguished guests and honorees in 22 award categories. Kai Ryssdal, host and senior editor of American Public Media’s Marketplace, will be our presenter. 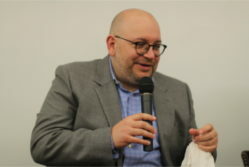 Jason Rezaian, journalist and former Tehran bureau chief for The Washington Post who was released from Iran in January after more than 18 months in jail, will light the press freedom candle in memory of journalists who have died in the line of duty in the past year and in honor of those injured, missing and abducted. 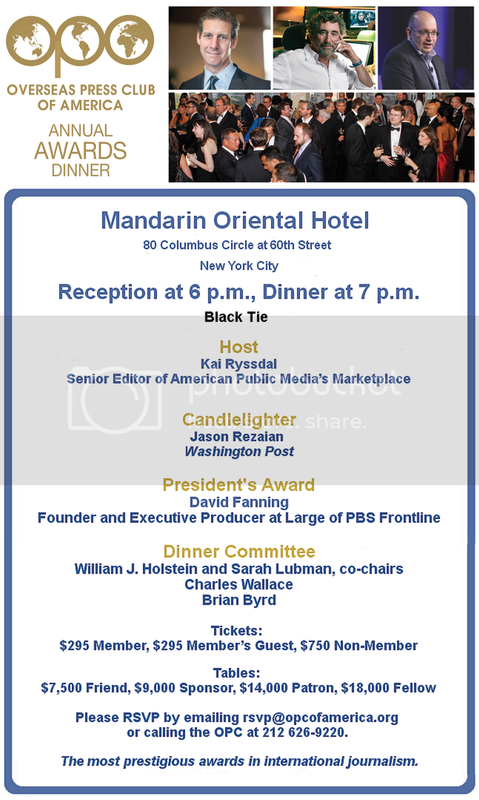 The OPC will honor David Fanning, founder and executive producer at large of PBS Frontline, with the President’s Award. Please RSVP by calling the OPC at 212 626-9220.